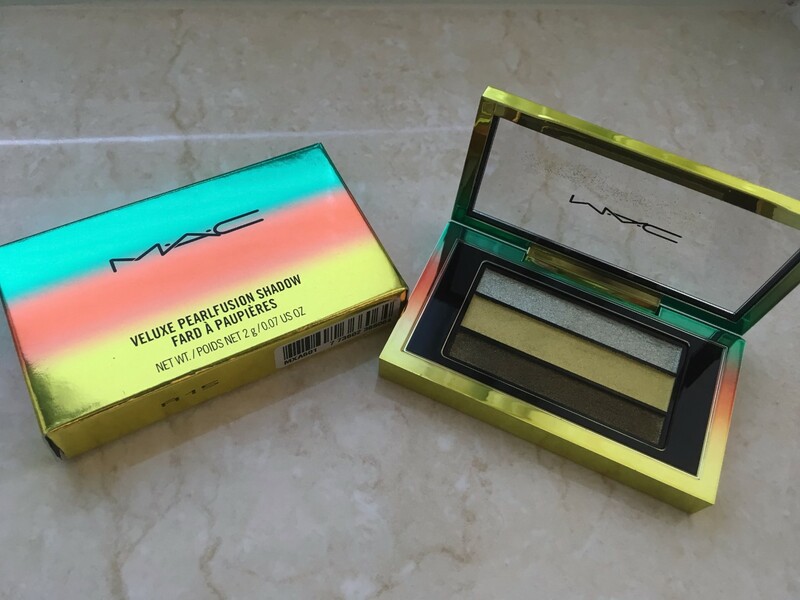 Time to appreciate every aspect of this Mac eyeshadow – from the beautiful multicoloured packaging to the incredible pigmentation, not forgetting the glittery appearance of the silver shadow. The first look I created using this product was the pink and green look to the left – a combination of the rose Mac loose pigment I discussed (and praised) a few posts ago, and this new shadow. I applied the bright green colour from my new Mac Veluxe Pearlfusion ‘Green Clean’ shadow palette to the crease, helping to create a bold, contrast look. What next? I decided to put the deep green/brown tone and glitter shadow to the test – creating the look showcased in the second makeup look (below). The darkest shade is ideal for blending an intense crease, while the glittery shadow creates a gentle finish along the lid. It’s important to note that the glitter shadow does require a few applications to make an ‘impact’. So I might have to look for another loose glitter pigment – any suggestions? Follow my blog today for more product reviews and makeup looks like this! Did you know, I’m also on Instagram, Twitter and Facebook?